We went to Stratford-Upon-Avon in January for a few days on the anniversary of our engagement. 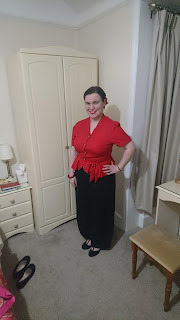 I thought I would have a go at an outfit post and show you what I wore whilst we were away. Please excuse the black hair bobbles around my wrist on all of these! I am here with another Primark haul! This stuff was all from a shopping trip a few weeks ago. I bought some LED lights for my bedroom and potentially to string up as part of a background for future YouTube videos. I bought this tinned, 3-wick candle to use in my bedroom. It smells lovely and the purple tin matches the colour scheme of my room. I will be able to use the tin after the candle has burned out to store various small bits and pieces. I have wanted a collapsible hula hoop for a while, so when I saw this in Primark, reduced to £2 I couldn't resist. I'm looking forward to using this soon. I wasn't looking for new makeup brushes, but these ones were next to the tills when I went to pay and for only £1, I couldn't really say no. This nail varnish twist pot is very useful and easy to use. It removes nail varnish pretty quickly and is less messy than tipping it from a bottle onto cotton wool. I have seen many versions of this top floating around various blogs and Pinterest, so I figured that it was about time that I gave it a go myself. I have never thought to look at the books in Poundland before, as I always just assumed that there would be nothing interesting there, however when I had a little time to spare in town a couple of weeks ago, I went and had a bit of a look to pass the time. This post is a bit late and for that I must apologise! I want to share with you the selection of books that I got for Christmas, along with a sneaky little gift to myself that I picked up a few days ago. I received a range of different kinds of books, all of which suit me rather well. Just goes to show how well my family all know me! 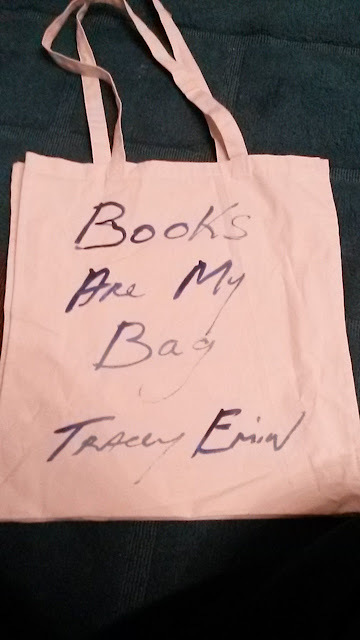 My Booktober Fail and a Win! This post is massively overdue and for that I apologise. Booktober did not go as well as I had hoped. I only managed to get through two of the four books that I had planned to read as I was filling my time with all sorts of random things rather than sitting down with a good book.